Chicken and Avocado Arepas Let this savoury breakfast recipe take your taste buds for a tango, as you go on a culinary journey to the vibrant continent of Latin America! Apple & Cinnamon Strudel These exquisite Austrian apple and cinnamon strudels look, taste and smell like they have come fresh from a Viennese patisserie. Crispy parsnip croquettes A delicious twist on a traditional side dish, these parsnip croquettes are both crispy and creamy, making them a firm favourite. 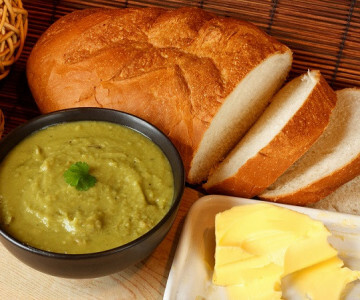 Pea and ham soup A hearty soup that is great as a winter warmer – this recipe is a perfect way to use leftover ham and to reach your five a day. Treacle tart A big crowd pleaser, whatever the occasion – this classic treacle tart recipe is the perfect finish to any meal.